In the middle of the Oberpfalz is the village of Kuermreuth, not far away from Koenigstein. The country Inn, "Zur Post" is located at the village square. This beautiful country Inn is a favorite among local residents as well as travelers from all over Bavaria. The restaurant at Zur Post offers regional and authentic German cuisine and a fine selection of beer and wine. Guests at Zur Post will find a cozy atmosphere and genuine hospitality among the friendly staff. Whether our guests are hikers, families looking for a peaceful and relaxing place to lodge, or the businessman or woman looking for that special place for lunch, dinner or lodging, we can accommodate your needs. Those who enjoy the hospitality of the Spiess family return frequently as our honored guests. The Spiess family has provided an atmosphere of friendly hospitality and excellent cuisine for 4 generations. It is our goal to spoil our guests with personal attention to their lodging and dining needs. Marko Spiess, owner and manager of Zur Post pays close attention to the quality and selection of cuisine and not only supervises the preparation of meals but is head chef as well. The attention to detail and service is under the guidance of the "lady of the house" Angelika Spiess. 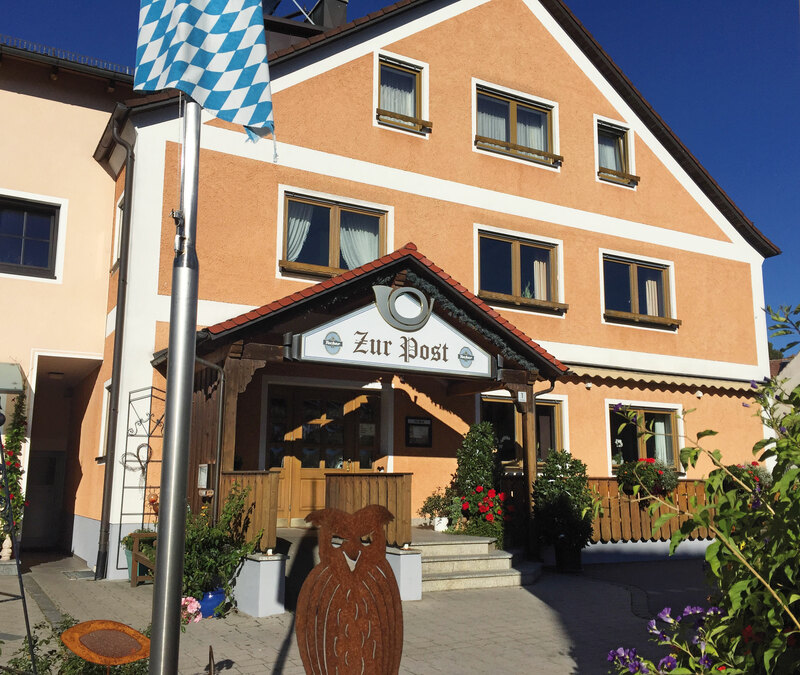 Zur Post has an experienced and friendly staff of 20 who make every effort to ensure that our guests will want to return to our Inn whenever they think of dining out.